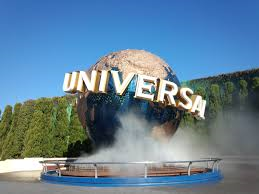 [Include] USJ Admission for Adult,that you can enjoy any attraction + 2-way Charter Car. ❖If you want Deluxe vehicle,please check price with us. **Some area of Kyoto city need surcharge. If you want to shorten waiting time of some attractions like “Harry Potter”, this is must buy. Express 4 Don’t have to wait 4 popular attraction include Harry Potter. Express 7 Don’t have to wait 7 popular attraction include Harry Potter. Royal Studio Pass No need to wait most of popular attraction include Harry Potter. ** If you want advance purchase Express pass,please add JPY800 each pass. ** No change,No refund at all. Availability and price for Express Pass is changing all the time. ** USJ sometimes change price suddenly. Please kindly contact us any time.